Yogi Bera has been quoted as saying, "It's tough to make predictions, especially about the future." The difficulty has never stopped anyone from making predictions, often about things so far in the future there will never be an accountable moment. Nevertheless, the future always arrives. Let's check up on some of those safely-over-the-horizon predictions. But before we get started let's set some expectations. 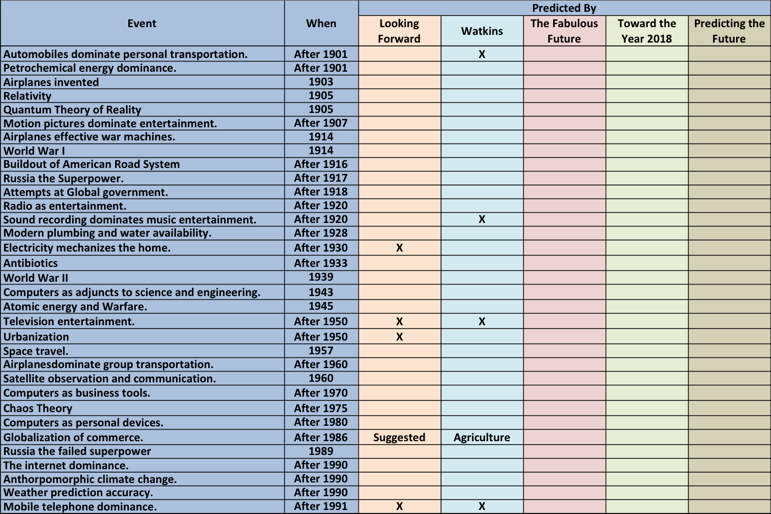 The following table is a list of important events that actually occurred in the twentieth century. The dates are estimated moments when the event became apparent. The "Predicted By" columns score successes for the sources we have reviewed, with blanks for those we intend to review. “Looking Forward” is a collection of period pieces composed in the years 1895 to 1905, some of which were predictions. 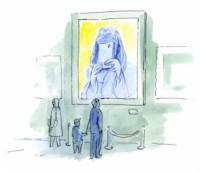 Much of the book consists of essays chronicling, and pictures depicting, life during that time. Since that era is as remote from us as a far-off band of travelers crossing a midnight ridge, it is entertaining to see artifacts they dropped behind as they went. For this purpose, the best course is to get a copy of Looking Forward, and perhaps follow up some of its potpourri by perusing the Harper’s, Life, and Saturday Evening Post, issues of the day. You can find ample access in Google Books. People of that era were as awestricken as we are at the amazing pace of change. “The nineteenth century witnesses greater progress in sciences and in the practical arts of life than all the other epochs of history put together.” Nevertheless, they expected more and better in the twentieth century. Click on the picture at left for an accounting of the book's predictions. The Ladies Home Journal of December, 1900 published an article by John Elfreth Watkins, Jr., titled “What May Happen in the Next Hundred Years.” Now, there is a fearless prognosticator. You may read the article for yourself, here, or click the picture for our score keeping. Dr. Watkins passed away suddenly at age 51, in 1903, so he didn’t get to grade himself on his future sight. Let’s check in, one-hundred twelve years after his death and one-hundred fifteen years after his soothsaying, to see how he did. The Fabulous Future, America in 1980, Published in 1956, by the Editors of Fortune Magazine. The editors of Fortune Magazine assembled eleven essays on the expected state of things in 1980. They picked a relatively short horizon and assigned the heavy lifting to a blue-ribbon group of citizens, all famous in their day. The editors felt constrained to excuse themselves by claiming they intended less a prediction of the future than some, “blueprint for what ought to happen.” This might reflect healthy respect for the future’s opacity, or bureaucratic CYA. In any case, some of their essayists break the restriction and give us some solid insight into the world foreseen at the century’s midpoint. There is another book called "Looking Forward." 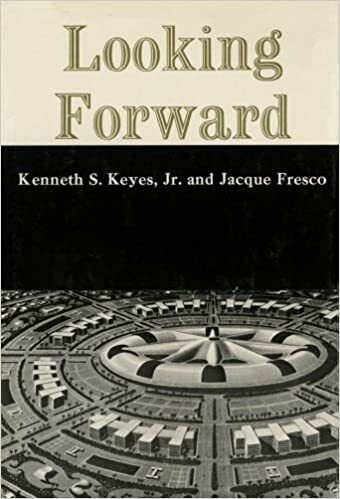 This one was written in 1969 by Kenneth S. Keyes, Jr. and Jacque Fresco. It describes the world of 2069, now only fifty-four years away, making it a good subject for our follow up. Or, how about this one from Time Magazine, June 24, 1975? "As they review the bizarre and unpredictable weather pattern of the past several years, a growing number of scientists are beginning to suspect that many seemingly contradictory meteorological fluctuations are actually part of a global climatic upheaval. However widely the weather varies from place to place and time to time, when meteorologists take an average of temperatures around the globe they find that the atmosphere has been growing gradually cooler for the past three decades. The trend shows no indication of reversing. Climatological Cassandras are becoming increasingly apprehensive, for the weather aberrations they are studying may be the harbinger of another ice age. Telltale signs are everywhere—from the unexpected persistence and thickness of pack ice in the waters around Iceland to the southward migration of a warmth-loving creature like the armadillo from the Midwest. Since the 1940s the mean global temperature has dropped about 2.7° F. Although that figure is at best an estimate, it is supported by other convincing data." Here's what Time recently posted on this subject. What were the worst predictions of all time:? Here are some votes from The Atlantic Magazine. Here is a contemporary attempt from the Atlantic to look into the twenty-first century. They evidently want to qualify for the next list of worst predictions. They've listed some things that will be unthinkable 100 years from now. That's a nice, safe horizon for a prediction. Who cares what those sissies in the twenty-second century think of us. Big deal. Cartoonists have made their attempts at predictions. At least when they fail they look less pretentious than those calling themselves "futurists." Here is a brave prediction from Singularity University, which gives us some very specific predictions of the short term. We will be collecting research on the history of futurism at this location. 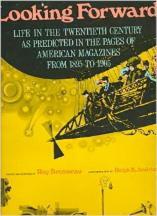 We have several books on the subject to exploit including such titles as, "The Fabulous Future." Check back for updates.